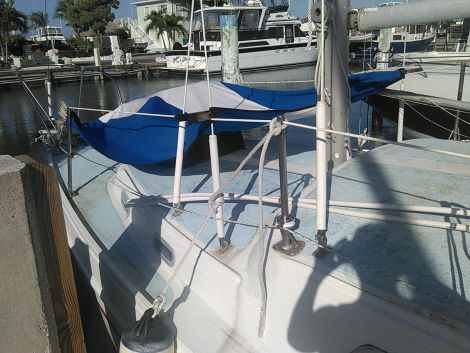 1971 27' Foot FIBERGLASS sailboat in NICE condition. Nice wood, exterior and interior. 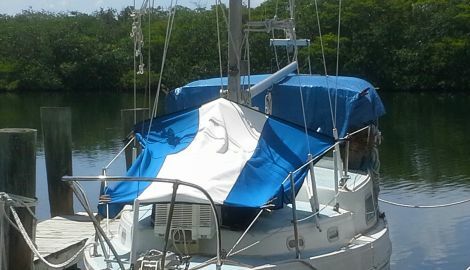 Has all sails, AIR CONDITIONER and Electric. 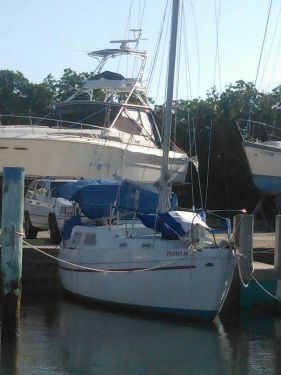 A few VERY SMALL things could use to be fixed if you choose, but she is in very good LIVE ABOARD CURRENT condition. The inside is clean and in very good shape! Great live aboard boat that is ready for you to move in and make your on the water HOME. Toilet works, lights work, sink and ice box, AIR CONDITIONING, small closet (storage space) and all wood in great condition. CD player and flat screen TV included. Sink butane stove, table top one burner electric cooker, toaster, BRAND NEW crockpot and barely used skillets, cooking pots included. Bathroom with toilet, sink, showering abilities, and mirrors. Has custom covers over windows and all cushions are in good condition. Would be great for a student, woman, or anybody to live on. For an appointment to view, call, email, or text me at: THREE 0 5 - NINE98 - EIGHT 0 6 ONE. Available all days to show her before dusk. Located in Marathon for viewing. Send your PHONE and name with emails to make an appointment to view. 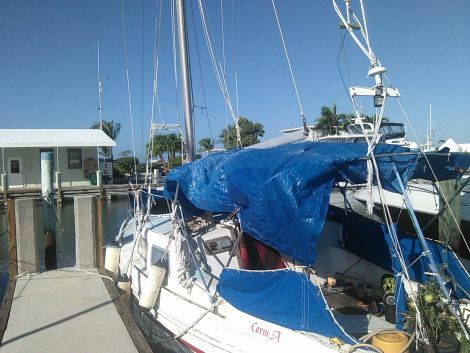 She just needs a loving owner who can sail her and she will give your joy and a home if needed to live aboard her. She needs a new owner and someone to love her and enjoy her as much as I have. I will be taking pictures of the inside in the next few days as soon as I get some stuff cleared out of her, so if you want them sent, let me know. Asking $4200 and she is yours. Cash sell only, no financing available. Start the new year right with the right sail boat and ENJOY 2015 !